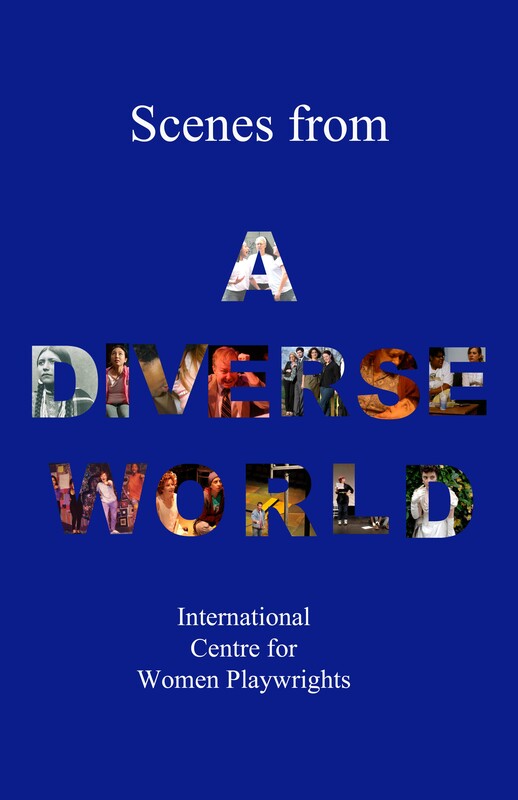 Scenes from a Diverse World, published by the International Centre of Women’s Playwrights and edited by Karin Williams, features 73 scenes about diversity for two or three students actors by women playwrights from around the globe, including: Suzanne Bailie (US), Shirley Barrie (Canada), Lynne S. Brandon (US), Hindi Brooks (US), Emily Cicchini (US), Christina Cigala (US), Anita Chandwaney (US), Judy Chicurel (US), Natalya Churlyaeva (Russia), Cecilia Copeland (US), Trina Davies (Canada), Jessica DiGiacinto (US), Jennifer Farmer, Virginia Fleishans (US), Colette Freedman (US), Catherine Frid (US), Lea K. Galanter (US), Cheryl Games (US), Tara Goldstein (Canada), Evan Guilford-Blake (US), Molly Hagan (US), Meg Haley (US), G.L. 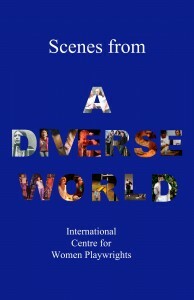 (Geralyn) Horton (US), , R. Johns (Australia), Vivien Jones (Scotland), Inkeri Kilpinen (Finland), Shirley King (US), Jean Klein (US), Shareen Knight (Canada), Kerri Kochanski (US), Katherine Koller (Canada), Robin Rice Lichtig (US), Susan Lieberman (US), Joan Lipkin (US), Pam Calabrese MacLean (Canada), Jennifer Maisel (US), Felicity McCall (Ireland), Patrizia Monaco (Italy), Pat Montley (US), Joanna Alexandra Norland (UK), Masha Obolensky (US), Martha Patterson (US), Toni Press-Coffman (US), Aiste Ptakauske (Lithuania), Steven Schutzman (US), Helen Shay (UK), Faye Sholiton (US), Lojo Simon (US), Donna Spector (US), Annie Staniloff-Redling (US), D. Stirling (Scotland/Canada), Bara Swain (US), Lene Therese Teigen (Norway), Lucy Tyler (US), Vanda (US). A scene from Katherine Koller’s The Seed Savers is included in the collection, and a photo from the premiere production is featured in the R in World on the cover.